The shift from participating to orchestrating a soundwalk is profound. When immersed in soundwalking, participants are in a position of auditory privilege, meaning that all senses — visual, tactile, energetic, bio-neurological — are re-arranging themselves into new patterns of association. This is optimal learning space — in the process of shifting habituated sensory patterns. When soundwalking, I begin to feel sounds in my body and through breathing rhythms. I start to buzz and hum and colors intensify around me and in my mind’s eye. I enter a hyper-aware state. 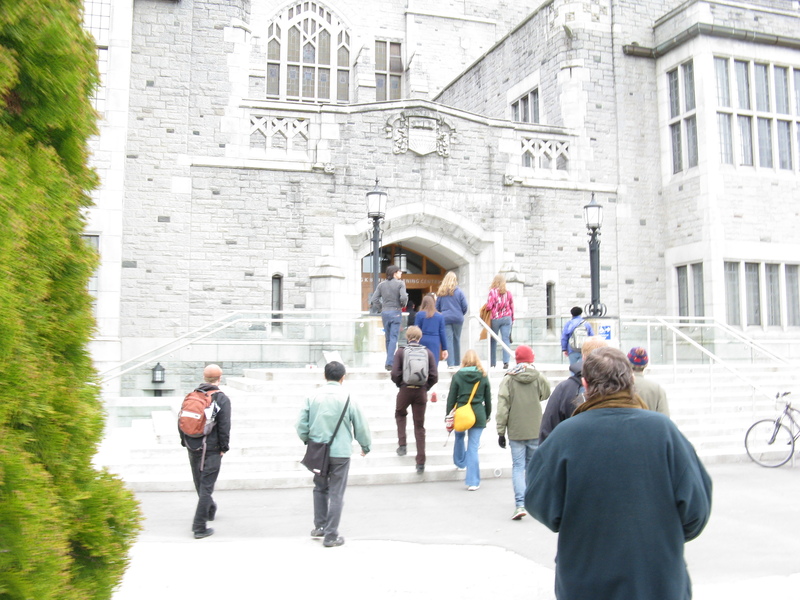 Walking listening as a single community within public space creates a sort of sonic dome around participants. 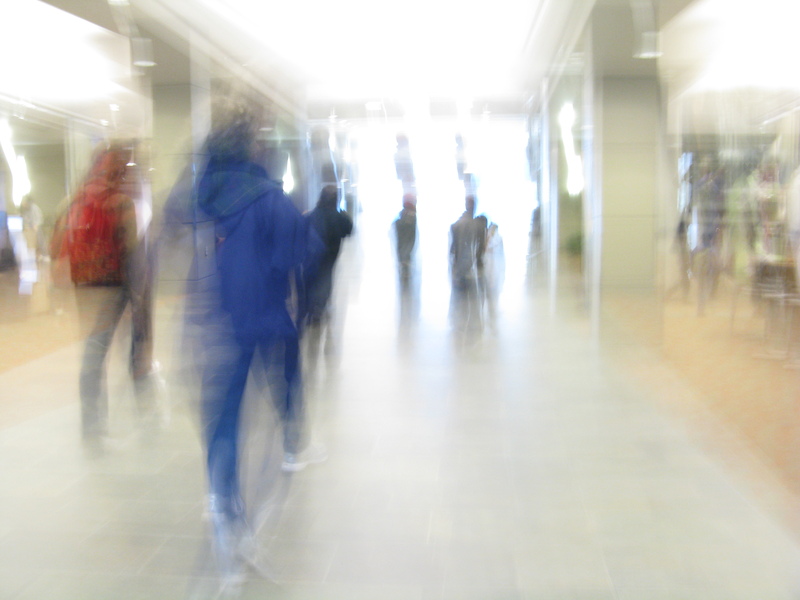 A micro soundscape — the one we are creating as we move through the larger sound environment — coalesces around, between, among the soundwalkers, who are being subversive of the listening norm in the best sense of pacifistic active-ism. We become a silent dynamic mass enacting acoustically-charge change. The opportunity to compose soundwalks shifts the experience profoundly. I am conscious that, in determining the course and any sonic events I arrange along the way, I am creating a living composition expressive of the places I travel, my listening habits and sound values. I am sharing my acoustic sensibilities. For example, I designed a soundwalk of the university grounds around the residence where I was staying last year. I wanted to speak back to the degradation of the natural soundscape that was happening because of escalated construction. Also, I wanted to highlight concepts of “nature” and how they are reinforced / disrupted as this listening community moved through virtual sound borders between what eyes tell us is “nature”, when the ears tell us a more complex story. In its composition, I think and experience sound differently. I consider what auditory experiences the places I route the walkers through offer, what acoustic relationships can be highlighted or brought into play, and how they reinforce or deny cultural expectations of what the eye sees. 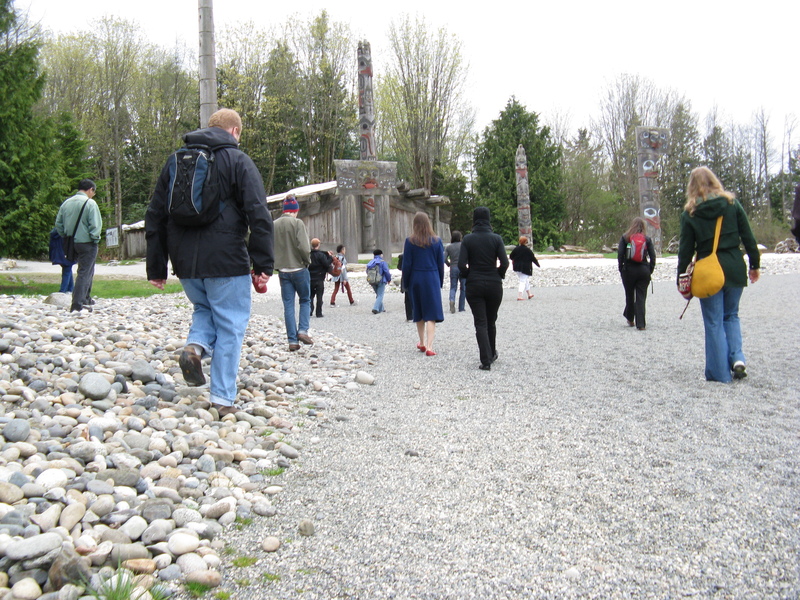 For example, in a soundwalk entitled “Center and Periphery”, soundwalkers were invited to pick up stones and clap them together to hear how sound bounced off of a glass museum wall and circulated around older native peoples wooden buildings and totems. Different stones created different sounds and different people choose different stones and places to sound them and different rhythms emerged. 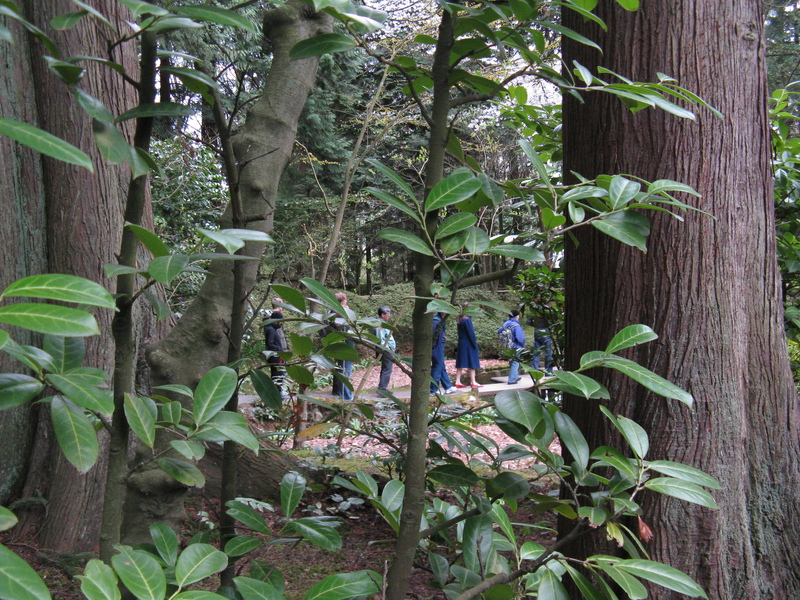 There was the impression of a “natural” act, something that just happened as we were walking, as it might have in a more “native” world — but really it was thought of and tried out beforehand and, as we had also arranged, other soundwalkers were designated beforehand to model the activity so participants would understand what was wanted. As we were on aboriginal land, and acknowledgement of this was important to me, I chose to play a native drum to lead us away from the longhouses and mortuary poles, which was political, ethically, and — in terms of soundwalk protocol– a thought-provoking decision. These types of considerations make me aware of the soundwalk’s performative aspects — it is a kind of listening spectacle that references the natural world and our role in it. I am an icebreaker cutting through sonic ice, frozen spaces that, when opened, teem with information about the life forms and their social activities that define these, our collective, planetary existences. I am sometimes invited to conduct seminars, train leaders, or compose in public group soundwalking. Anyone can soundwalk anywhere, and I see my role as facilitating an ear-opening educative experience. As an educator, I tailor the program to the groups needs — from health care professionals to arts organizations to nature reserves and parks — the experience is profound and the outcomes are rich and diverse. If you are interested, please contact me directly at andreapandancer@gmail.com .